Jill has covered foreign news for the BBC for over twenty years and appeared on all the BBC’s main radio and television news outlets. Her foreign postings as a BBC Correspondent include Hong Kong, Delhi (South Asia Correspondent) and Washington (State Department Correspondent). She has also written for The Times and The Financial Times. Now based in London for the BBC, Jill travels on assignment worldwide. She has covered a broad range of conflicts, including Iraq, but specialises in Asia, providing news, documentaries and analysis for the BBC. She has visited Afghanistan regularly since the fall of the Taliban in 2001 and been embedded with British troops in Helmand Province. 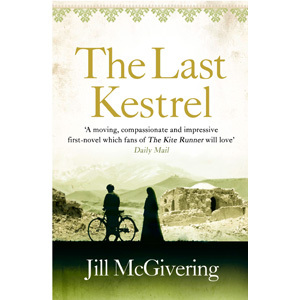 Her first novel The Last Kestrel was longlisted for the DSC Asian Prize.